I had pre-ordered this at the con and it's apparently now live. The Watchmen print comic (they have a motion comic). We preordered as well, but only now realized it doesn't have an app for any game consoles??? We have both a PS4 and Xbox One but no Roke/Chromecast/Apple TV etc. I have no idea how we're actually going to watch it on our TV. I was wondering about this. Also preordered. Anyone have any insight on their plans? And how can I get this on my TV? You are not allowed to view links. 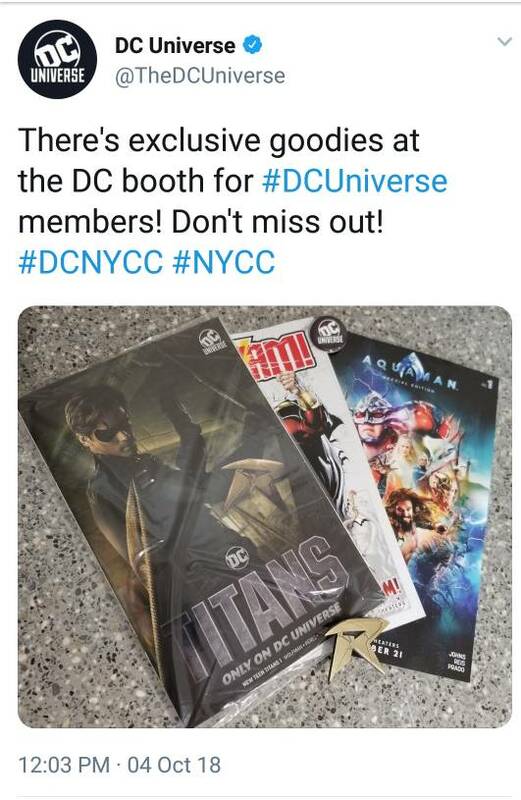 Register or Login I tweeted my displeasure at them yesterday, and they tweeted back "Hi, DC Universe will be available at launch on iOS, Android, Apple TV, Android TV and Roku, as well as the web and mobile web. Stay tuned for availability on additional platforms." Which... helps not at all. I tried to access it through the Xbox One browser, and I was able to login but none of the video content would play. People on Twitter are saying Roku and iOS are having problems as well. I hate to pile on the "DC can't do anything right" bandwagon, but man, sometimes it really does seem like DC can't do anything right. Hmmm...I currently access most of my stuff through Apple TV. I'm going to have to give that a try and see what happens. I was able to watch Death of a Superman on my Apple TV and so far haven’t had problems. My only complaint the main screen seems a little cluttered with the comics. That’s fine for a tablet but I am not reading comics on my TV. We don't have Apple TV or Roku or Chromecast. But since we have a PS4 and Xbox One it's never been a problem before. Admittedly it's on me - I should have read the fine print when I signed up - but it literally didn't even occur to me that there might not be console apps, because everything else we've ever signed up for has them. Exciting news coming out from NYCC for Doom Patrol and Harley Quinn. Titans looks awesome! The audience loved it! I believe you still have to pay for it. I have the app too and it works perfectly on my iPad so it should work on Apple TV. Yes. I am afraid I am not clear. I have the app. I have a subscription. I watch it on Apple TV. I was asking if it works with a Smart TV.